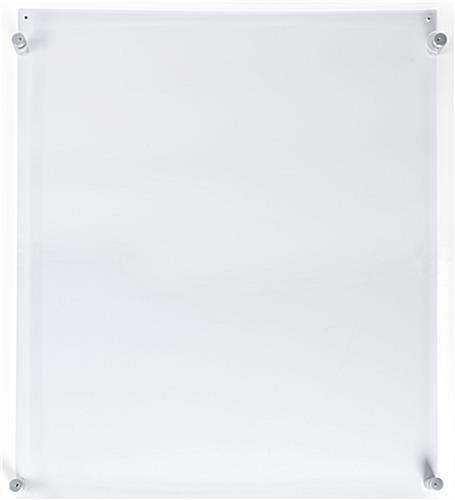 These 20x30 standoff sign holders are made to hold large size posters in a portrait orienation. 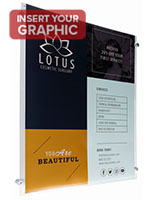 Graphics are held between the frames' acrylic panels that stay together with their button magnets. 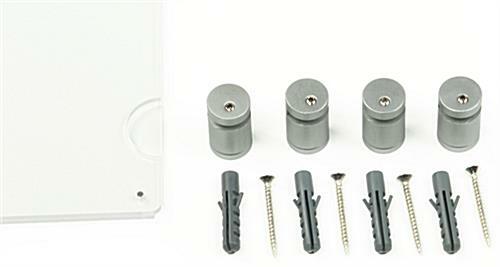 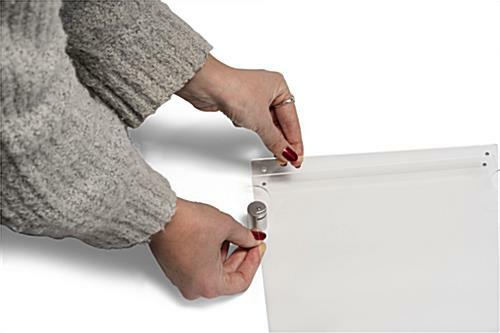 In addition, the standoff sign holders affix to walls with the four included edge grip spacers and included mounting hardware. 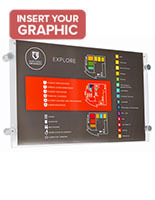 Another feature of the frames is that they can be set up with an Allen key that comes with the display. 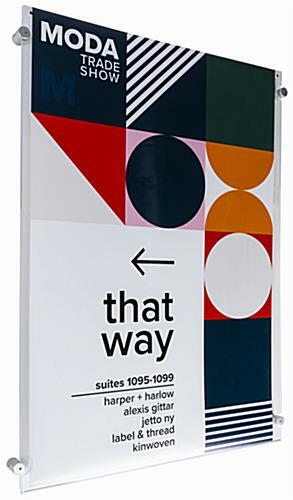 The edge grip sign holders with magnetic panels are a great choice for advertising companies, events, sales, offers and new merchandise in any interior environment. 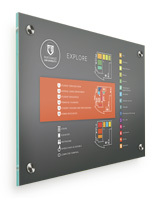 The frames with installation hardware are also available in a variety of other sizes, ranging from 8.5" x 11" to 24" x 36".